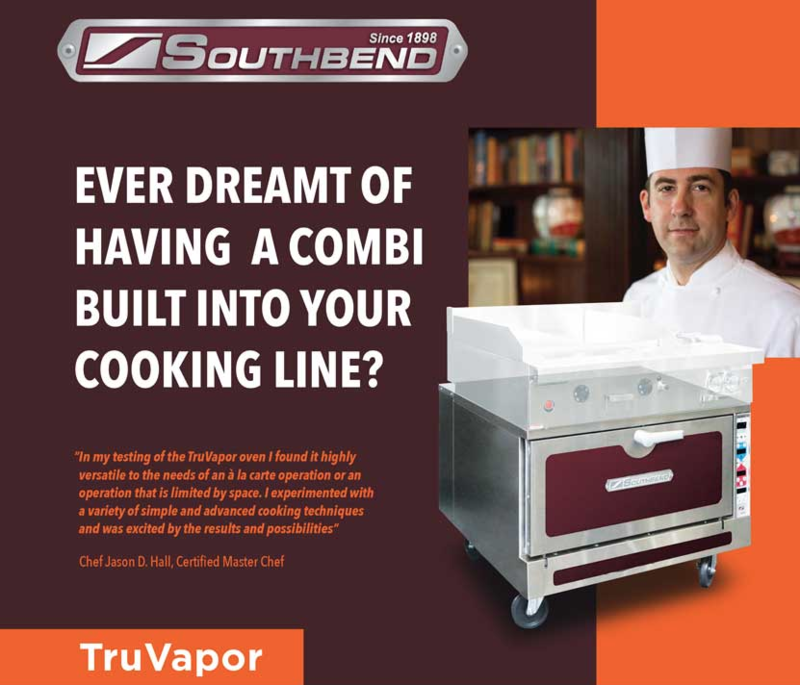 Southbend's TruVapor is a 2017 Kitchen Innovation award winner from the National Restaurant Association, and it's ideal for baking, steaming, or a combination of both. Its compact footprint allows the unit to be placed in a lineup, on an island suite, underneath a range as a range base, or even as a standalone unit. Based on Southbend's TruVection low-profile, high-performance convection oven platform, the TruVapor units go one step further. Actually, they go two steps further because TruVapor is essentially three units in one. First, Southbend's TruVapor units are fully-functioning convection steam ovens. Next, they operate as bake ovens that achieve temperatures up to 475ºF. And finally, they operate in a combination vapor mode, allowing operators to add from 25 to 75 percent humidity into oven cavity for additional cooking options. This means enhanced flavors and textures for meats. It means variety and versatility for oven chefs. And it means greater profit potential in a smaller footprint for operators and owners. Southbend’s TruVapor is the most space efficient, tri-mode unit on the market. Learn more about the TruVapor and other units from Southbend by visiting the Southbend Video Library from High Sabatino.